THE Margazhi season is not only about solo performances, but also about beautiful collaborations. In the past, we have seen Vikku Vinayakaram and Vidya Shah team up, andA� more recently, Aruna Sairam and O S Arun work together. Now Anil Srinivasan is back with the Festival of Parallels (in its third year), a bunch of concerts where he collaborates with various artists. According to Srinivasan, the director of the festival, a�?Every year we try to present something new. We want to focus on classical, western and Hindustani.a�? When asked about how he chooses the artists, he says, a�?They all have different backgrounds and are ready to present something new. I have worked with artists like Sikkil Gurucharan for the past seven years.a�? 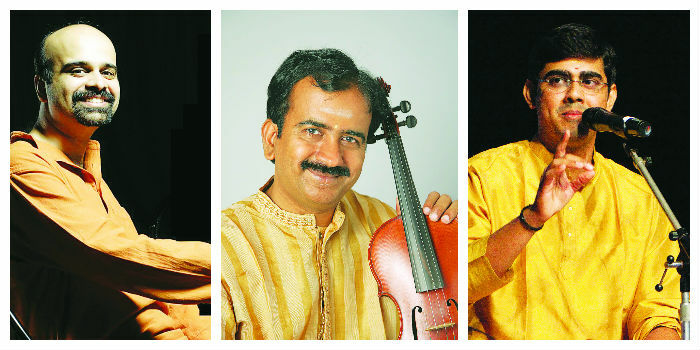 Srinivasan and Lalgudi Krishnan will perform on December 19, at the Krishna Gana Sabha. Then there will be a collaboration with Pandit Gaurav Mazumdar, who will present musician Ravi Shankara��s compositions. Expect Muthuswami Dikshitara��s songs in Jayanthi Kumaresha��s performance. a�?The artists will also give a small introduction about their music. They are good story-tellers,a�? says Srinivasan. As for how well this mix-and-match will be accepted, Srinivasan says, a�?It is great that the sabhas are giving space for these performances. It is a positive change and a great step.a�?